The local sheriff reported a white male suspect from Baltimore fatally shot three people, including himself, at The Jacksonville Landing complex in downtown Jacksonville. Eleven others are wounded. Williams says that among the 14 total victims, nine people sustained gunshot wounds, and two others were injured while fleeing the scene. All 11 wounded are in stable condition, the sheriff says. 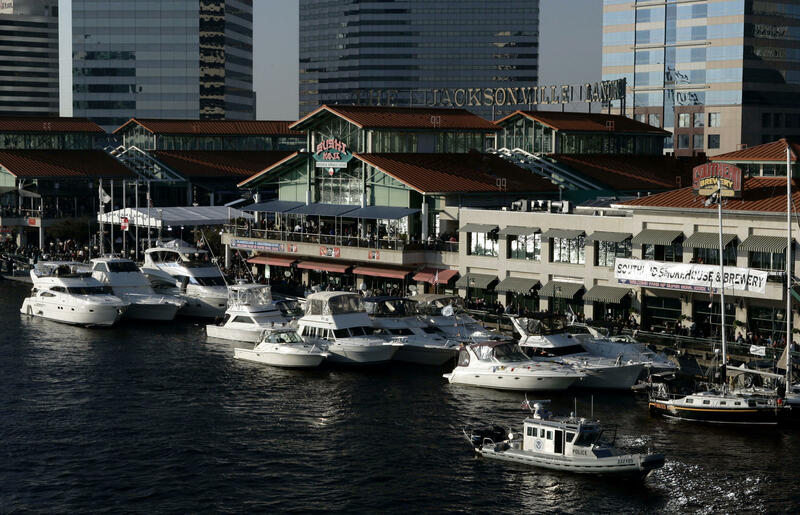 The incident unfolded at Chicago Pizza — an eatery that shares its space with a gaming bar that hosted the tournament — at The Jacksonville Landing, a waterfront shopping mall and entertainment space in downtown. The gaming competition featured the newly released football video game Madden 19 NFL. The Jacksonville Sheriff's Office says it got the first call at 1:34 p.m., and officers were on the scene two minutes later. Seven injured people have been transported to the hospital, according to Williams. "Stay far away from the area. The area is not safe at this time," the sheriff said in a tweet as the incident was unfolding. "STAY AWAY." Williams said later they had finished securing the scene. The FBI is assisting Jacksonville police in Baltimore, the sheriff's office tweeted Sunday, where Katz is believed to have stayed last night. "We have located and impounded the suspect's vehicle and a search is pending," the sheriff's office said. "If anyone has information about where he stayed, please contact 904-630-0500 or JSOCrimeTips@Jaxsheriff.org." "The tourney just got shot up," said a player named Drini Gjoka. "I am literally so lucky. The bullet hit my thumb. ... Worst day of my life." "They took me to the hospital. Bullet grazed my head. I feel fine, just a scratch on my head. Traumatized and devastated," said another player known as Dubby. The GLHF Game Bar at The Landing posted on Facebook that "All GLHF staff are safe and accounted for." The venue was hosting the EA Madden NFL 19 Southeastern Qualifiers Playoffs on Sunday, according to its Facebook page. The top two finishers of the regional tournament are supposed to advance to the finals in Las Vegas in October with a $165,000 prize pool. The official Twitter account for EA SPORTS Madden NFL said it was aware of the incident and "working with authorities to gather facts at this stage." It added: "This is a horrible situation, and our deepest sympathies go out to all involved." SWAT teams conducted searches of the area and asked people at the scene to remain hidden in place and call 911. The sheriff said investigators have a video that has circulated on social media, showing players competing on a big screen when suddenly the sound of gunfire and screaming can be heard. Florida Gov. Rick Scott said he's spoken to the sheriff's office "to offer any state resources it may need." White House Press Secretary Sarah Sanders said President Trump has been briefed on the situation in Jacksonville. The original feed where GLHF Game Bar had been streaming the competition on Twitch, a social livestreaming platform, has been cut off. The GLHF channel is now hosting a charity stream to raise money for victims. Lindsey Kilbride of member station WJCT in Jacksonville tells NPR's Michel Martin that some survivors of the Parkland school shooting held a "March For Our Lives" rally at The Landing one month ago.